While some sources credit Foley of the Goliath with a captured French chart showing that there was depth of water to pass inside the French fleet, others insist that he observed the manner in which their ships were anchored and reasoned that as they could swing at their moorings there was room for him as well. Whatever the truth, the decision to round the head of the fleet and engage the French from their landward side was an inspired act of initiative taken with Nelson's full support. Having raked the Guerrier in passing, Foley guides the Goliath inside the French line to engage the second ship Conquerant. Note Nelson's favourite white ensign, a key way to distinguish the British vessels during the approaching night. At 18:30, Goliath passed ahead of the Guerrier with a double-shotted raking broadside at point-blank range, followed in quick succession by the Zealous and Orion. Zealous anchored off the port bow of Guerrier and continued to rake her. Captain Saumarez of the Orion, possibly concerned with that his fire could pass through the French line to hit oncoming British ships, took a wider route around the French van and came close to the shoals. Orion may have briefly grounded as the Serieuse, one of four frigates anchored inshore of the battle-line, opened fire. Orion's return broadside dismasted Serieuse at a stroke and she sank shortly after, the upper works of her decks still showing above the shallow waters. Saumarez sailed Orion on up the line, eventually anchoring to engage the Peuple Souverain. 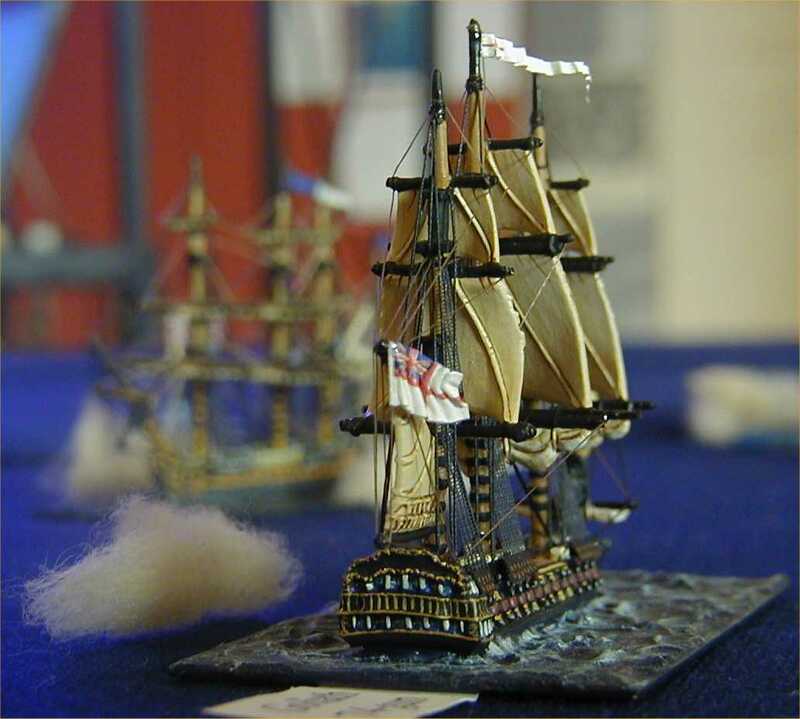 Frigates were usually not attacked by ships-of-the-line, as long as the frigate did not itself open fire. Meanwhile, Theseus and Audacious had followed around the head of the French line, Theseus cutting between the anchored Zealous and the Guerrier. Many diagrams of the action show Audacious as breaking through the French line, but her master's log clearly records engaging the van ship (Guerrier) with three broadsides from the larboard (port) guns, then moving onwards to anchor alongside Conquerant and engaging her with the larboard guns until she struck.